Solid-state batteries might be the ticket to happy camping with your mobile phone without the worry that it will light up in flames due to the juicer inside, and, given the Note 7 drama last year, Samsung is perfectly aware of the repercussions. That is why, perhaps, it is first out of the gate announcing that its SDI subsidiary in charge of battery tech is readying solid-state batteries for prime time, and they might appear in the company's phones in the next two years. "Our technological level to produce a solid-state battery for smartphones will be mature enough in one to two years. 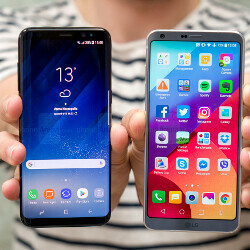 However, it depends on Samsung Electronics whether it will be used for phones," said one anonymous Samsung SDI exec to Korean media, and, given what the technology promises, the adoption might be a no-brainer. Solid-state batteries eschew the liquid electrolyte of the current lithium packs for a material that can't leak, cause a reaction and burst into flames spontaneously. According to Choi Jung-deok, an analyst at LG Economic Research Institute: "Solid-state batteries are a realistic alternative to lithium-ion batteries in solving the chronic safety issue as the development has been relatively faster than other next-generation batteries over the last 10 years." LG is also in advanced stages of development of such juicers, added Samsung's SDI exec who talked to the media about the state of the solid-state batteries, so we might see Galaxy S-series and G-series with worry-free battery packs in time for the S9 or the G7 even. I hope these batteries will be as safe as they are hyped up to be. But......without sacrificing their battery capacity. Or better, higher capacity at the same size while being safe! There've been many battery cell concepts since the past 5 years showing hgiher capacity packed into the same size as normal cells. But none of them seem to have made their way into popular flagships. So am not really optimistic. I dont understand PA, they said the batteries will be ready in one to two years and at the same time said that they expect to see it for the galaxy s9 and g7 which will be coming in 8 months time. "given the Note 7 drama last year, Samsung is perfectly aware of the repercussions." Come on, leave Samsung alone! Its only normal seeing as they're talking about batteries in a samsung phone less than a year from the note 7 disaster. Samsung pushing the envelope yet again. I hope the read/write speeds flow like water. HAY iPA News flash, iPhone catch fire also. Solid State batteries to the rescue!